While Apple’s market share of app downloads constantly fell from 81% in 2008 to 39% at the end of 2012, Android’s app downloads increased year over year reaching 42% at the end of 2012. 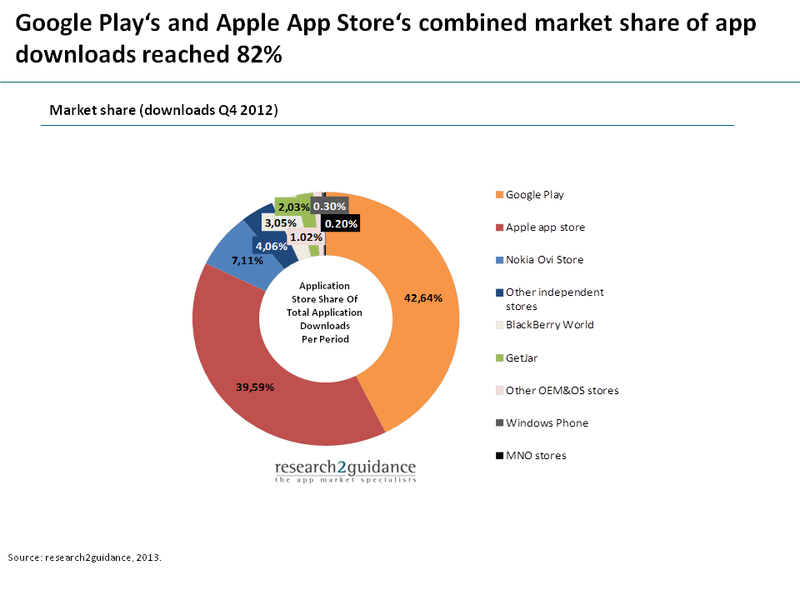 Both platforms now combine 82% of all app downloads. Will this duopoly last for the next years or will the market see another major change in the market structure as witnessed 5 years ago when the dominance of Symbian started to fade away? The most likely scenario is that the duopoly will give way to a more heterogeneous mobile operating system landscape. There is evidence that already in 2013 the market will enter a new phase with more relevant mobile app platforms which would be the beginning of the end of the duopoly. New platforms, new choice: Microsoft, BlackBerry, Firefox, Ubuntu or Jolla have come up with fresh and new app platforms which will challenge the two market leaders. Some have financial muscles others have cool new concepts and solutions. 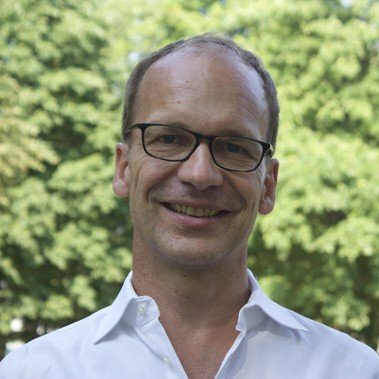 All seems to attract a lot of market hype indicating that the market got a bit bored with iOS and Android and are looking for something new. Old problems of the computer/mobile device industry, old strategies: Today, 90% of all smartphones come with an iOS or Android operating system. Maybe mobile phones users can live with this uniformity but most of the smartphone device manufacturers can’t, if they don’t want to compete only by price. As a consequence new and fresh operating systems will be loaded on smartphones especially from 2nd tier device manufacturers like HTC, Huawai and ZTE to offer something different. It is a matter of fact that this market shift would have an impact on the app initiatives companies have launched over the course of the last years. Every app developer and publisher will have to adjust their app development and distribution strategy to compete in a market with 5-7 relevant mobile operating systems. In essence app development and distribution will become more complex. Compared to the world today, where most of the app publishers and developers are concentrating on iOS and Android, the need for adding at least Windows Phone and BlackBerry to the “served platform list” will increase over the next 2 years. If companies want to reach out to the community of early adopters they would even have to include new OS platforms like Ubuntu or Jolla to the list. Adding HTML5 makes 7 platforms to watch and/or maintain. That is good news for the app development industry and multi-platform tool vendors (Note: End of Q2 2013, research2guidance will release the 3rd edition of the “Multi-Plattform App Development Solution Report“. E-Mail us to get on the distribution list. ), but starts to become a real management task for companies trying to reach their customers with the help of mobile apps. App stores will remain the main distribution channel for apps during the upcoming years. In addition to new OS platforms and their app stores, new app distribution platforms will emerge. They will specifically address e.g. business, health, adult and children app users needs and offer additional downloads and marketing opportunities for app publishers. The number of app stores increase month by month and it is not possible to track all of them, but it is a safe bet to say that there are more than 500 apps stores out there. App publishers don’t need to know all of them but they should be aware of the most relevant for their target groups as well as upcoming service providers that help to distribute an app on dozens and hundreds of app stores. Building and marketing an app is becoming increasingly complex and will demand a systematic fact based approach to handle market turbulences in the coming years. Find more of the most current market analysis on the smartphone app market in our new update of “The Smartphone App Monitor Vol. 9”. We invite you to comment and tell us your thoughts on the future of the app market and its consequences for app developers and publishers.